The re-tabulation of votes in different constituencies across the country began on Saturday. Among the constituencies where votes are being recounted are Faisalabad’s NA-108 and NA-106, Multan’s NA-154 and NA-157, NA-230 Badin, NA-57 Murree, NA-131 Lahore, and others. From PP-270 Muzaffargarh 3, independent candidate Abdul Hayi Dasti was declared the winner earlier today after a vote recount showed him leading Pakistan Awami Raaj (PAR) candidate Muhammad Ajmal Khan by a margin of 17 votes. According to unofficial results announced by the Election Commission of Pakistan after the polls, Ajmal Khan had won the Punjab Assembly constituency PP-270 Muzaffargarh 3 by securing 17,669 votes. Dasti had been the runner-up with 17,645 votes in the narrowly fought contest. 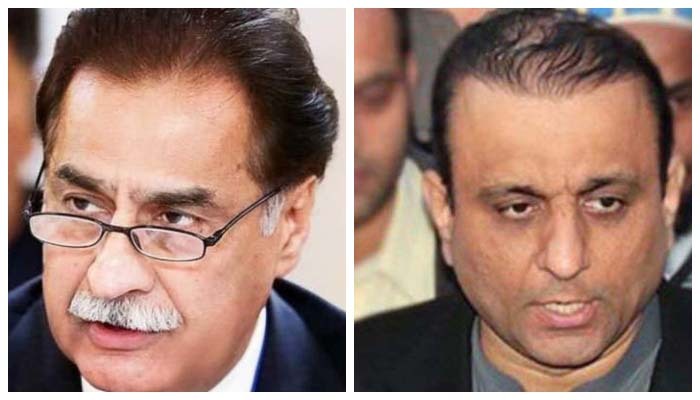 Pleas for vote recount filed by Pakistan Muslim League-Nawaz (PML-N) leaders Saad Rafique and Abid Sher Ali were approved by the respective Returning Officers on Friday, as well as the plea by Pakistan Tehreek-e-Insaf (PTI) leader Aleem Khan. Rafique challenged his opponent Imran Khan’s victory in the closely contested NA-131 Lahore 9 constituency, alleging that the presiding officer deliberately rejected hundreds of votes. Imran won NA-131 Lahore 9 with 84,313 votes, defeating Rafique who managed 83,633 votes. Abid Sher Ali challenged PTI’s Farrukhh Habib in NA-108 Faisalabad. PTI’s Aleem Khan requested for a vote recount in NA-129 Lahore. After accepting his plea, the RO summoned the winning candidate, PML-N’s Ayaz Sadiq, for a recount of votes today. Sadiq received 103,021 votes from NA-129 Lahore 7 constituency to win a seat in the National Assembly. Aleem Khan was the runner-up with 94,879 votes. Prominent political parties have rejected the outcome of the elections, won by the Imran Khan-led PTI. The All Parties Conference (APC) has announced protests demanding new polls after foreign observers criticised the pivotal vote over rigging allegations. The announcement by the APC, including the outgoing PML-N, is a fresh obstacle to power for Imran after delayed results finally showed he had won an emphatic victory — though he will need to seek a coalition to form a government. The nationwide polls held Wednesday were criticised by the United States, the European Union (EU), and other observers after widespread claims that the playing field was fixed in Khan’s favour. While some have dubbed it “Pakistan’s dirtiest election,” Khan’s victory, for now, represents an end to decades of rotating leadership between the PML-N and the Pakistan Peoples Party (PPP) that was punctuated by periods of military rule. The vote was meant to be a rare democratic transition in the country but was marred by violence and allegations of interference in the months leading up to the vote, with Khan seen as the beneficiary. Next articleHow might one legitimize the paid foreign trips of clients and officials of media buying houses?